Start-up projects are small, short-term feasibility studies for the purpose of developing a strong, highly competitive proposal for our traditional pilot award. The duration of the award is 6 months, with projects ending March 31 – in time for the traditional pilot application due several months later. For the 2019 cycle, CTSI is offering up to 4 Start-up Awards for up to $12,500 each. * Proposal will not be considered for funding if any required regulatory, safety, or other ancillary committee approvals are not in place by this date – this includes IRB; IACUC; OCRICC; IBC (biosafety); etc. ** CTSI is supported by the National Institutes of Health National Center for Advancing Translational Sciences. As such, CTSI is required to submit documentation based on IRB approval for each applicable CTSI project that has been recommended for funding. NCATS requires at least 30-days to review approval requests. To accommodate this timeline, projects that have been recommended for funding will be required to provide additional information within 10-days of the notice of recommendation for award. *** No-cost extensions and project budget changes will not be allowed; all research expenses must be incurred by March 31, 2020. The CTSI Translational and Clinical Studies Program Start-up Awards are supported by the National Institutes of Health (NIH). To administer a battery of instruments to a small test sample of subjects to determine subject burden: time for completing, problem items, and sequence of measures. To conduct complex cohort identification of cancer patients using the CTSI Clinical Data Warehouse (i2b2). To conduct statistical power analysis to determine feasibility and assist in the development of a viable study. To support meeting costs for convening community groups to explore partnering on a CBPR project. To establish reliability and/or validity of a measurement tool in the population of interest. All PI(s) and Investigators must be CTSI Members. To become a member, please complete the CTSI Membership Form. 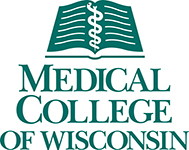 There must be at least one PI from a CTSI partner institution: MCW, UWM, MU, MSOE, CHW, Versiti, VA, Froedtert Hospital. If inter-institutional collaboration is part of projects that require IRB approval, please work with the respective IRB to complete an Investigator Reliance Request to determine appropriate IRB. Inter-institutional collaboration among CTSI academic/research partner institutions is not required for this award. However, it is a requirement for the CTSI Traditional Pilot Award. Therefore, proposals for the Start-up which do not involve inter-institutional collaboration must include specific plans to establish these partnerships for the upcoming Traditional Pilot project. This award allows for, but does not mandate, a multiple PI model. In cases where a project has multiple PI(s) and one is from MCW, the MCW PI must submit the proposal through the MCW Grants and Contracts Office (GCO) eBridge system. All PI(s) must have full-time or full professional effort status at their primary academic institution to be eligible to serve as a Principal Investigator (PI). Adjunct and part-time faculty are not eligible to apply as a PI. Please see the Policy tab for Principal Investigator Eligibility. There is no specific required minimum effort for PI(s) on Start-up projects; however, the proposed effort should be adequate and feasible for fulfilling project responsibilities including the development and execution of the project. PI(s) are responsible for all grant reporting and fiscal management, and will be the main contact for budget and reporting management. PI(s) will be primarily responsible for ensuring compliance with the scientific, safety, and ethical responsibilities of the grant award. PI(s) will be expected to comply with reporting requirements as a condition of receipt and continuation of funds. Non-compliance of final and/or annual reporting could result in the rescinding of funds by CTSI. Community partners or investigators from other academic institutions would be welcome additions to study teams as Co-PI or Co-Investigator. Human Subjects Research projects need to have IRB approval by May 31, 2019 – no exceptions. If applicable, proof of any Exempt or Non-Human Subjects Research Status must be provided. Research conducted at Froedtert Hospital will need OCCRIC approval by May 31, 2019 – no exceptions. Animal Research projects need to have IACUC (or equivalent) approval by May 31, 2019 – no exceptions. IMPORTANT NOTE: Proposals will not be considered for funding if any required regulatory, safety, or other ancillary committee approvals are not in place by May 31, 2019. This includes IRB; IACUC; OCRICC; IBC (biosafety); etc. Email all final approvals to Renee McCoy by 4:00 p.m. May 31, 2019. Projects will be funded at a level of up to $12,500. Institutional and departmental cost sharing to supplement these funds is highly encouraged. Projects must be completed within a maximum of 6 months. No-cost extensions or project re-budgets will not be allowed for Start-up awards/subawards; all research expenses must be incurred by March 31, 2020. No “indirect costs” may be charged for any CTSI funding. Because the source of these funds is the NIH, you will need to request an F&A override in eBridge (please see specific eBridge instructions below). No funds may be requested for general purchase of laboratory or clinical equipment greater than or equal to $3,000. No project changes are permitted for Start-up awards/subawards. Salaries are subject to the NIH parent award annual salary cap of $187,000. If you have any questions about whether your start-up project qualifies for funds, or have a question about a budget item, please contact: Renee McCoy, CTSI Pilot Award Program Manager at rmccoy@mcw.edu or 414-955-2524. All projects with an MCW PI must be routed through MCW eBridge and must be received by the MCW GCO at least 5 business days before the CTSI submission deadline (see key dates above). Different departments may have different deadlines for obtaining departmental approvals prior to receipt by the GCO. Once the eBridge Funding Proposal has been institutionally approved, the online application form must be completed and submitted via REDCap by the CTSI deadline. 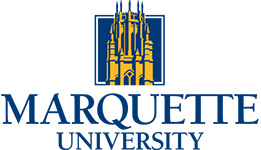 For MU investigators, applications may need to be registered via the routine Proposal Registration process with the Office of Research and Sponsored Programs (ORSP) prior to submission. Please contact an ORSP staff member early in your application preparation process to ensure accurate compliance. 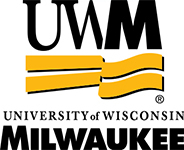 For UWM investigators, applications may need to be routed using the WISPER system and approved by the Office of Sponsored Programs (OSP) prior to submission. Please contact an OSP staff member early in your application preparation process to ensure accurate compliance. Budget and Budget Justification FormUse one form per partnering institution/agency. NOTE: please indicate any cost-sharing within the budget justification and/or within a Letter of Support; cost-sharing commitment forms are not required at the time of application. All projects with an MCW PI or Co-PI must be routed through an eBridge Funding Proposal which must be submitted to the MCW GCO by noon on May 8, 2019. Once the eBridge Funding Proposal has been institutionally approved, the online Start-up REDCap Survey Application must be completed and submitted to CTSI by 5 p.m. May 15, 2019. Question 2.0: Title – please add “CTSI Start-up” at the beginning of your project title. Question 2.1: Sponsor Application – upload your completed CTSI Pilot proposal form and any additional required documents. Please create a single PDF of the full application to upload. Please request an F&A override within eBridge as no indirect costs are applicable to this award. For any project involving human subjects research, including human subjects data/specimens, the CTSI must collect and submit to NIH NCATS, at least 30-days prior to funding approval, the below listed documentation, much of which is available from an IRB submission and your grant application. For every applicable pilot project that receives a recommendation for funding, CTSI will request from the PIs documentation for NCATS Prior Approval in accordance with federal requirements. A limited list of the NCATS Prior Approval requirements is listed below. If a clinical trial is proposed as the Start-up project, multiple additional requirements apply. Responses to NCATS Prior Approval Survey and Addendum (details will be sent to PIs whose projects have been recommended for funding). The complete clinical research protocol and consent document(s). Description of risk, protections, benefits and importance of the knowledge to be gained by research involving human subjects. Data and Safety Monitoring Plan or Board (DSMB), as applicable. Certification that the pilot awardee and any key personnel directly involved in the study have taken appropriate education in protection of human subjects. The project described was supported by the National Center for Advancing Translational Sciences, National Institutes of Health, Award Number UL1TR001436. The content is solely the responsibility of the author(s) and does not necessarily represent the official views of the NIH. A Start-up project is not subject to the same requirements as the Traditional Pilot Award. However, since a Start-up project is expected to lead to a Traditional Pilot proposal, if your Start-up project does not meet one or more the requirements below, your application should address the specific steps you will take to meet the eligibility requirements for a Traditional Pilot Award proposal. Most Traditional Pilot awards are funded by the Advancing a Healthier Wisconsin Research and Education Program and according to AHW REP requirements must have an MCW PI or Co-PI. In contrast, Start-up projects need not have an MCW PI. Projects with more than one PI are encouraged but not required. The research team for Traditional Pilot Awards must include investigators (PI; Co-PI; Co-I) from at least two of the eight CTSI academic/research partner institutions (Versiti, CHW, Froedtert Hospital, MCW, MSOE, MU, UWM, VA) according to the investigator’s primary employment platform. For joint affiliations and appointments, the institution of primary employment will be the determining factor. This award uses a multiple investigator model to encourage inter-institutional and interdisciplinary collaboration between clinical and basic biomedical scientists, social scientists, ethicists, engineers, biostatisticians, informatics specialists, and other members of the clinical health care delivery team with the appropriate training and expertise to make a substantive scientific contribution to the study. For example, biostatistics support that is acquired as a service would not be considered research collaboration.